Written by dewpoint on June 1, 2017 . Posted in On Point Blogs. 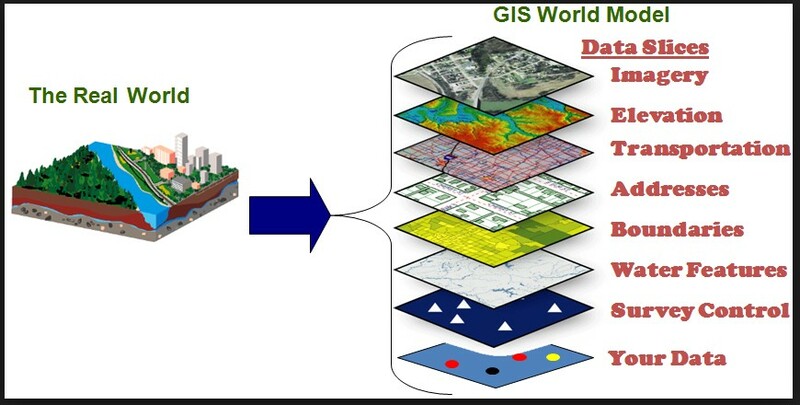 Geographic Information Systems (GIS) can be loosely described as “computerized mapping”. Hardware, software, and collections of data construct the modern computer map making technology. The collected information is made into a point, line, or polygon layer that is referenced to actual locations on Earth. Several layers of information can be collected, displayed, and shared on a map to tell a story for a better understanding of relationships and patterns. Please refer to the image below for a visual explanation of layers. 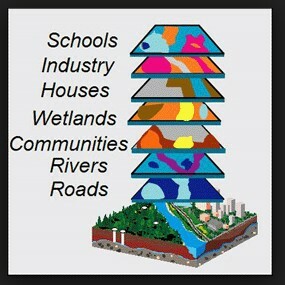 GIS allows for visualizing and analyzing data to assist in more informed decision making as well as record keeping. At the City of Grand Rapids, elements of the ArcGIS Platform by Environmental Systems Research Institute (ESRI) such as ArcGIS for Desktop, ArcGIS for Server, and ArcGIS Online, have been implemented and utilized in the City’s GIS environment. It has primarily been a powerful tool for visualizing and managing real world systems through spatial data for many assets in local government. The investment has helped in supporting a variety of delivery services. For example, street information helps display current and future road closure projects. Secondly, mapping utility infrastructure helps field staff to locate and repair utilities in a timely manner. Additionally, Parking Services tracks parking meter locations and their enforcement rates for public notification. The link below shows a few examples of interactive mapping via GIS in the City of Grand Rapids.